A young gal by the name of Charlotte Alter posted a tweet last week that got absolutely scorched. Here it is and you can imagine what the replies and retweets looked like. 14,000 replies to this tweet and counting. Of particular note is that Ms. Alter is in some pretty rarified air when it comes to being privileged. Her daddy, Jonathan Alter, is a best-selling author and "journalist". He is published by the major media outlets and is on TV to offer his opinion. Her mom, Emily, used to be the executive producer of "The Colbert Report". She went to Harvard for crying out loud. Her family lives in Montclair, New Jersey, which has a median family income of $126,983. She is a 28 year old that writes for Time Magazine, an outlet that was pretty prestigious 25 years ago. Even her comment about Fruit Roll-Ups is telling, that is basically a pre-chewed fruit mixed with sugar so you don't even have to put in the effort of peeling or washing the fruit before eating. It is about 90% digested already. In other words, this girl has grown up surrounded by prosperity and privilege from birth but we are supposed to believe she has her finger on the pulse of a generation that doesn't know anything about prosperity and that complains non-stop about the raw deal they got on iPhones that cost more than billions of people make in a year. Lots of people are piling on with the usual complaints about millennials but this is actually a pretty serious issue since so many of them are going to be voting and holding elected office soon. Human existence is largely defined by struggle. Most of human history is a series of struggles for survival. It was only 100 years ago that the Spanish flu pandemic killed as many as 100 million people or around 5% of the entire population of the world. In much of the world the struggle for survival is a daily reality. Cyclone Idai (and can we stop naming every single weather event?) in southern Africa killed hundreds and possibly thousands of people earlier this week. The greatest stories of the human experience have to do with people overcoming the odds and triumphing over hardship. No one writes moving accounts of being misgendered by a store clerk. This generation of Americans doesn't have that. They have lived in a bubble-wrapped existence where everything was available without effort. Need something? You just order it from Amazon and it magically appears at your door in two days. Want to read a book, really just about any book ever written? 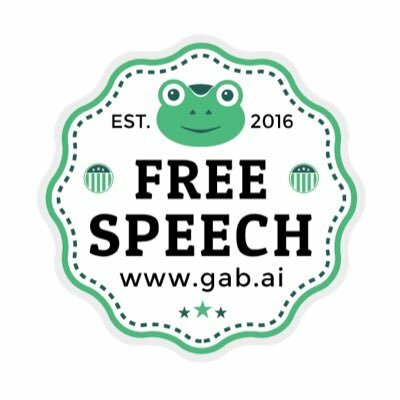 Download it instantly. Need to be entertained? Every possible entertainment is available in a little handheld box on demand, 24-7. You can have your groceries delivered and now you can even get McDonalds and Taco Bell delivered. Really, unless you are stoned out of your gourd, why would you pay to have Taco Bell delivered? (That comment is mostly out of jealousy that I live where you can't get Taco Bell delivered). That is not to say that none of them have ever experienced struggle or hardship. Many of them have of course. But as a whole they have a terribly skewed perspective on just how easy they have it. People that have had everything spoon-fed to them their entire lives don't react well to the real world. It is a truth many of us have observed when it comes to the grandchildren of wealthy people. That third generation doesn't appreciate it. The children of the newly wealthy seem to understand it a little better, they probably saw their father building the wealth they enjoy but for their grandkids it is just something they come to expect so they seem to squander it and never appreciate what they have. Richest guy I ever knew was third generation rich and he was unhappy all the time even though he was insanely rich and literally had to do nothing but deposit the checks each month. In the absence of real struggle and oppression, they make up up their own out of thin air. They are endlessly and breathlessly complaining about ridiculous "systems of oppression" and then proceed to "fight" against mostly non-existent problems. This is a generation that thinks they are the most oppressed and therefore the most activist in history but in reality they are fighting against phantom problems that only exist in their minds. Deep down they know something is missing from their lives, something very basic that makes them human, but rather than finding some worthy, actual causes to champion, causes that might take effort and commitment to address, they battle bad thoughts and uncomfortable feelings. Many of them seem to think that virtue signaling tweets, putting something about punching Nazis in your profile and calling the President "Drumpf" or some variation is really courageous and on par with climbing out of a landing craft on Normandy Beach. 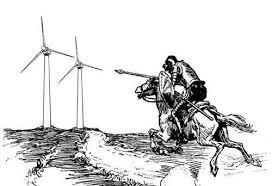 Theirs is a generation of Don Quixote's, tilting at the windmills of racism and sexism and homophobia and transphobia and Islamophobia and every other nonsensical type of oppression under the sun. What is really troubling is that they will soon be running everything in the country, from businesses to the government to religious institutions. Given the very tenuous connection with reality we are seeing from people like Charlotte Alter and Alexandria Ocasio-Cortez, it doesn't bode well for when something actually serious happens. People who think putting #PunchNazis in their social media profile is somehow brave and effective are probably not going to fare well in a serious economic downturn or major civil unrest. When the nation is forced to make hard choices about defaulting on the debt or Social Security or whatever, posting a hackneyed hashtag isn't an actual solution. The millennial generation has grown up in the lap of luxury but thinks they are oppressed. They were born on third base but instead of thinking they hit a triple, they feel cheated because they didn't get an automatic home-run. Charlotte Alter was roundly mocked but seems to think she is vindicated because her fellow entitled millennials came to her defense.